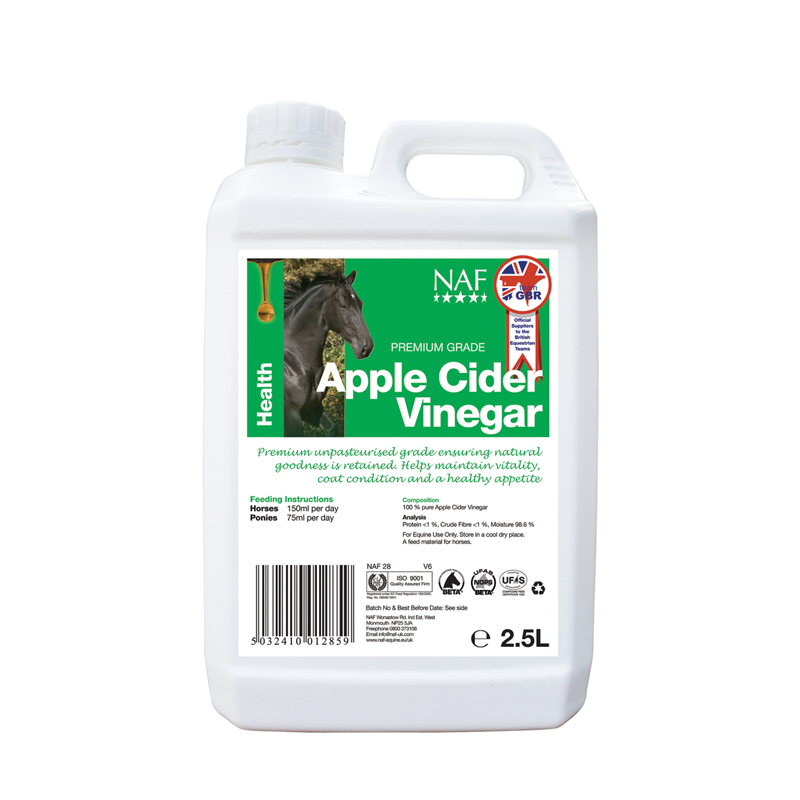 NAF Apple Cider Vinegar is great for your horse's general health. It can help to improve coat condition; joint suppleness & digestion. It contains key vitamins & minerals, including Vitamins A & C; calcium; phosphorous; sodium; potassium. NAF Apple Cider Vinegar is unpasteurised, meaning it keeps all of its natural goodness & health benefits, unlike other mass-produced alternatives. Feeding Instructions Horses- Give 150mls daily Ponies- Give 75mls daily 2.5 litres will last a horse up to 16 days & a pony up to 33 days 5 litres will last a horse up to 33 days & a pony up to 66 days 25 litres will last a horse up to 166 days & a pony up to 333 days NAF is part of the BETA NOPS scheme.